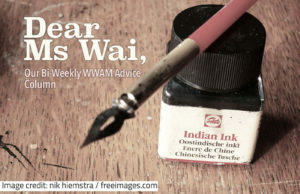 Dear Ms. Wai - Birthday Blues | WWAM Bam! Me and my guy have been together for 2 years now and we have one reoccurring problem: birthdays. I LOVE birthdays and planning parties, and making homemade gifts, and just having fun. Birthday’s are a real celebration of love, of surviving another year and celebrating everything you have in your life. My boyfriend feels the opposite. For the first several months he wouldn’t even tell me his birthday. He said it wasn’t important. I only found out because we booked a hotel room together and he needed to write his date of birth on the form. This year though, I arranged a big party with our closest friends. I spent a ton of hours on Pinterest for party ideas and ordered a bunch of stuff on Taobao. I even handmade a cake with foreign ingredients and our friends brought a bunch of dishes to share. It wasn’t exactly a surprise party but he didn’t know a lot because everytime I brought it up, he told me to forget it. It was his 30th birthday! There was no way I was gonna let that go without a splash. I invited his closest friends and everyone loved all the decorations and stuff except him. He was sulky the whole time, even though the party was made for him and had everything he liked, and at night we got into a big fight. He didn’t even appreciate it at all! He even said the cake was “too sweet.” Gah! My birthday was no better. Last year we were planning on moving in together right before my birthday so I was expecting something really sweet as we were very much in the honeymoon phase. But all I got was a cheesy cake (with “birthday” misspelled in English) and some junky teddy bear. I wasn’t expecting a big party or anything but I feel like he put no thought into it at all! The teddy bear was one of those you see cheap at student shops and not at all my style. The cake was clearly one he got at the bakery below my apartment. He knows I don’t like that place. We live in Shanghai and there are a lot of awesome bakeries here, he knows which ones I like, but it seems he didn’t even think about it until the last second. My birthday was also on the weekend but we didn’t go out or he didn’t ask any of our friends over. It was just a normal night at my place, with a cake and a cheap teddy bear I put on my bookshelf and promptly forgot about. My birthday is coming up again soon and I don’t want another disappointment. So what should I do? I don’t want to directly tell him, I mean, I’m not a birthday bully, but what kind of hints should I drop so I don’t have a terrible birthday again? Guuuurl, this is one fight you are not gonna win. Give up now because being in a multicultural relationship will bring up a lot of challenges and fights, and this one isn’t worth it. How can you have a good birthday? Plan it yourself. I know having your significant other plan a big heartfelt birthday bonanza sounds romantic and amazing to you, but don’t sit around waiting for it to happen. It’s very unlikely. And stop wasting your time making his birthday a big deal. He told you he doesn’t care for birthdays and you gotta believe him. It’s not some wounded heart situation where no one paid attention to him as a child so now he is sad and bitter about it. China puts very little emphasis on birthdays and as a result, most Chinese people don’t expect, or even enjoy a big to-do. I have plenty of Chinese friends that love the attention (and a dinner out and cake), but I also have plenty that do not. It sounds like your boyfriend is the latter so stop forcing him to “enjoy” it. 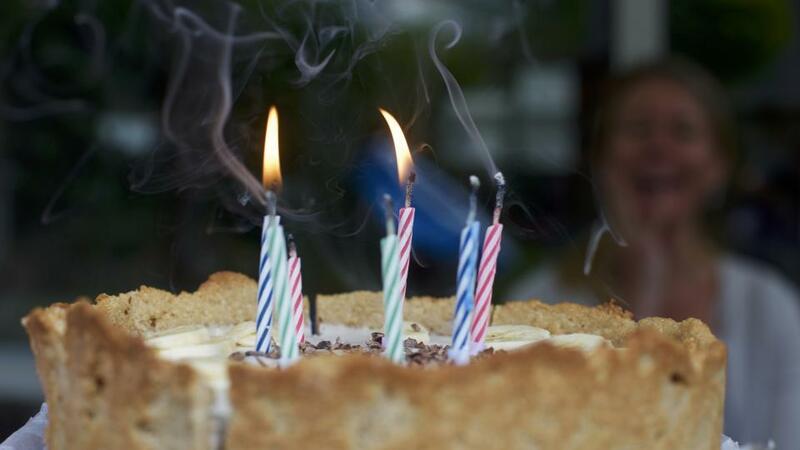 For some people birthdays are more of a burden than a celebration. I know for you creating a big birthday represents your love. But it falls on deaf ears. In fact, to him, it’s almost an insult. He told you he doesn’t want to celebrate his birthday and you ignoring that shows him you are ignoring his wants. So stop forcing him. Find other ways and other outlets to show your love. How about one of the many valentines days in the Chinese calendar, or your anniversary? Or how about just a random romantic day? But trying to force him to love his birthday, or you forcing him to make your birthday special is gonna end up with angry feelings on both sides. 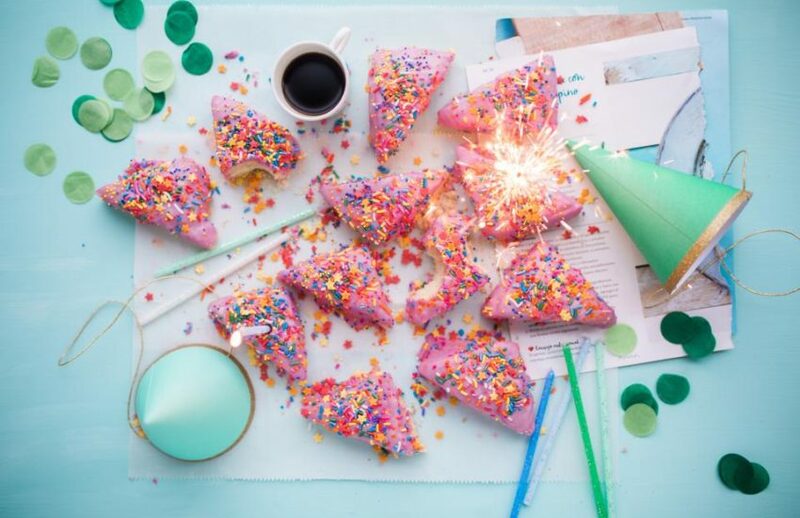 Instead, put your creative energy into making your own party the way you want it and send your boyfriend an invitation. Although feel free to drop some big hints about what you want as a gift. Men of all cultures need help in that department. Are you dating an Asian man in a Western country? Share your experience in our comments section! Celebrating birthdays is more a western cultural thing. Asians generally do not care about celebrating their birthdays. But as with many things, cultural or not, western influences have taken root more in some countries and less in others. Here in Bolehland , celebrating one’s birthday wasn’t a big thing in the past. But now it it becoming quite common and even the kids are demanding for it. To me, celebrating one’s birthday by having a big party and inviting everyone over is a waste of time and resources, drawing so much attention to oneself just for the fact of the day one was born as if that was an achievement. I had rather have a private dinner with one’s beloved and maybe a with few close friends. Insisting on your partner having a ‘public’ bash of his or her birthday when he/she isn’t in favour of or comfortable with it, is surely discomforting to the poor chap! And where does it all end? You will have to reciprocate when it is your friend’s birthday. And how many friends and friends’ friends does one not have? Or relatives and relations? Haha…not for me personally, celebrating birthdays bashes!